Celebrations is an apt title for math-rock collective Mental Architects' latest offering. Though this is no-nonsense fare that cuts right to the chase, there's plenty of room here for off-kilter moments, explosions of jubilation, and orgasmic climaxes so loud Explosions In The Sky would wet themselves with delight; members Tony, Niki, and Max (who refuse to divulge their last names) may think in mathematical terms, but this is nevertheless a release brimming with personality. 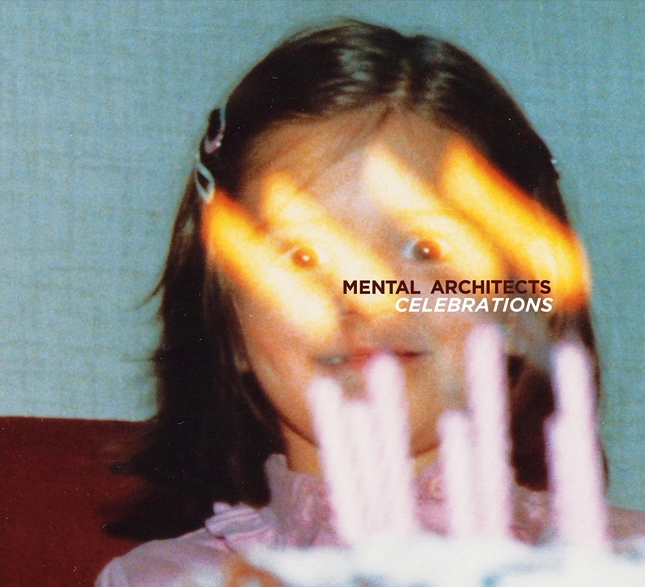 Mental Architects has a sharp sense of focus, and the tight songwriting on display here shows it. The majority of Celebrations' eight tracks fly by with a breezy charm; opener "Spell Shelter," for example, unfurls with a sharp and immediately gratifying synthline before charging forward with a barrage of guitar riffs, ceding its reins to the drums, and building to its summit. All of this action, by the way, takes place in the space of two minutes. Another strong example of efficient songwriting is "Launch The Avalanche," which melts pop-rock soundscapes into math-rock structures (similar to what Two Door Cinema Club's doing in the field of indie-rock): it's obvious from the beginning that the track is meant to be pushed as a single, but even the band's more conventional work is more intricate and twisty than that of their peers. The band's warm, creative instrumentation also helps to make a traditionally esoteric genre surprisingly accessible. "A.C.E." may feature some terribly complex rhythms, but it wraps them in twinkly keys, handclaps, and gang chants. Meanwhile, "Meth-Rock" showcases scrappy but powerful production that makes the track (along with much of Celebrations) feel like a rallying cry, and once again, the gang chants liberally sprinkled throughout are legitimately empowering. Celebrations has much to offer in the study of texture: "Here Is Where, Where Better" plays on an interesting dichotomy between sharply defined guitar riffs and hazier long notes, resulting in an ending that somehow manages to be both majestic and fast-paced at the same time. Guitars soar over the climax even as the drumming gets more and more frantic in an all-or-nothing bid to the finish line. "When Sound Turns Into A Person He Becomes One Of Us" launches into a prog-rock tango so jaunty, Gloria Estefan could easily make a new single out of it; the drumbeats and guitar grow more sinister, though, and before the track's through, it evolves into a darker beast. You have to wonder if this is what it's like for sound to turn into a person: the band blurs the line between euphoria and despair to be as nebulously defined as it is in our own lives. If there's any downside to the nonstop rush of Celebrations, it's that when things slow down, the band meanders a little. The band experiments with longer payoffs on the seven-minute "Caves Of Keys," which, while epic in bits and spurts, feels a bit like it's biding its time until the math-rock equivalent of the drop in dubstep. On the other hand, closer "Once Again We Meet At Last" is almost as long (at six-and-a-half minutes), but it makes a much stronger impression; whereas "Caves Of Keys" feels like it's drifting, this track feels like it's asking for our patience--which pays off as, slowly but surely, the band incorporates virtually every facet of its sound shown on Celebrations into a killer finale. In the end, though, everything you need to know about Mental Architects' latest is right there in the title: it's an artifact of a band that can take from every color in the emotional spectrum and forge mouth-watering, grand statements from each. When so many post-rock bands are busy dealing in the business of doom and gloom, it's simply exhilarating to see one group that's more concerned about making a good mess for everybody involved. This is a celebration that everybody is invited to. In the spirit of Free Music February, here's a FREE download of "When Sound Turns Into A Person He Becomes One Of Us" the band is offering everybody. You can find more information about Mental Architects on its official page.